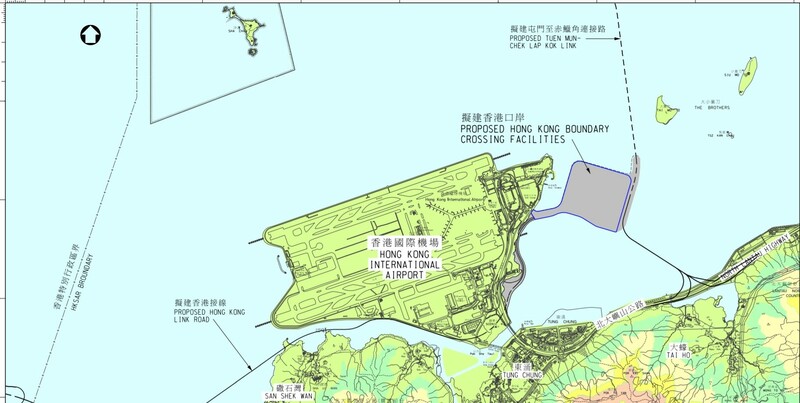 As one of the initiatives to boost Hong Kong’s overall economic development, the government of Hong Kong Special Administrative Region (Highways Department) has proposed the construction of the Hong Kong Boundary Crossing Facilities (HKBCF) off 130 hectares of reclaimed land from the open waters off the northeast of the Hong Kong International Airport. This HK$35.9 billion project will provide clearance facilities for passengers and vehicles entering or leaving Hong Kong via the Hong Kong-Zhuhai-Macao Bridge (HZMB) and serves as a strategic multi-modal transportation hub on the West of Hong Kong. 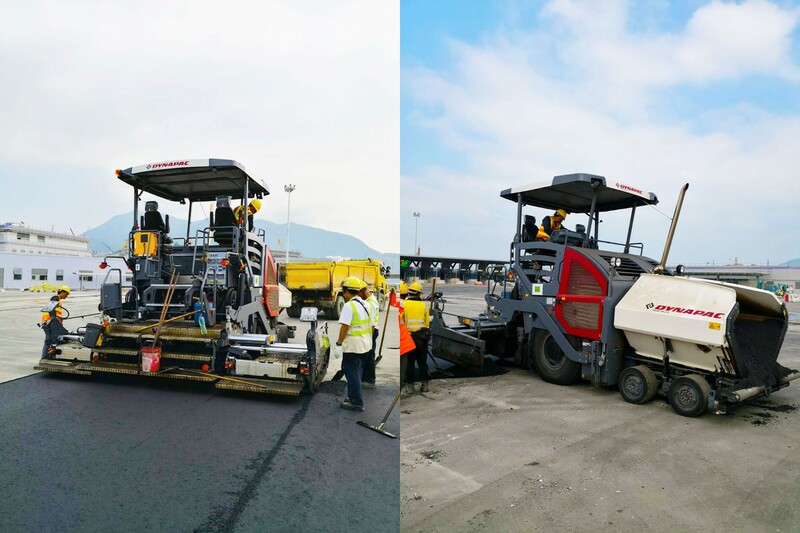 Dynapac paver SD2500WS and rollers such as CA2500 and CC4200VI are utilised in this project, actively working at the jobsite. The Dynapac CA2500 is a medium heavy vibratory soil compactor, typical utility machine designed for long working days in tough applications. All types of base courses and reinforcement courses can be compacted to considerable depth. The 35mm hitch drum ensures excellent resistance to wear such that all types of base courses and subbase courses can be compacted effectively. High vibration frequency compaction has long been an important feature on Dynapac asphalt rollers. The Dynapac rollers continues its successful concept of using high vibration frequency with low amplitude to maintain high efficiency on modern thin asphalt layers. This gives very effective compaction for thin layers. Dynapac CC4200VI uses the front drum for offset so it gives very good control of the front drum edges for even better driving accuracy. The increased offset to 520 mm gives a very small turning radius when used in combination with the steering hitch. 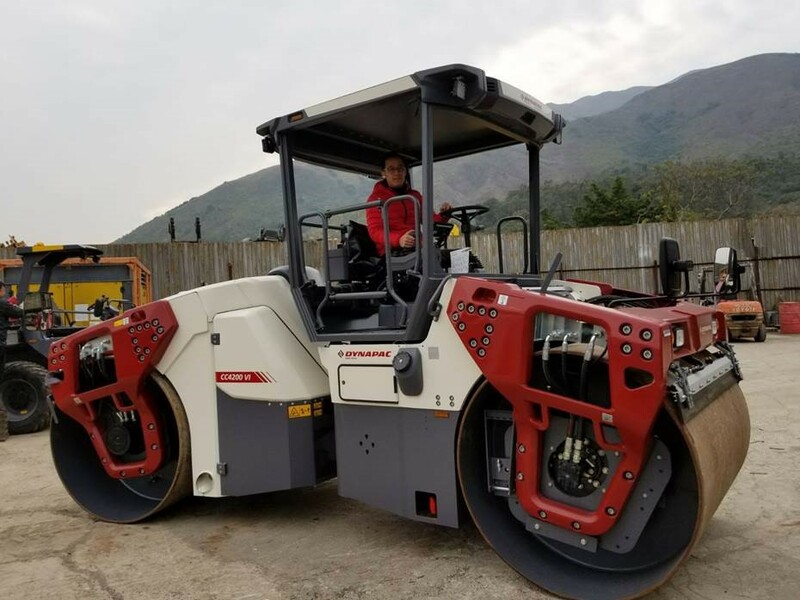 This makes it possible to move a larger portion of the machine mass inwards on the road when compacting weak road edges, thus making the roller more stable. It also increases the surface capacity when making the final static passes to get rid of marks in the mat. The Tier4 final diesel engine also offers impressive power reserves and significant operation benefits. Easy cold starting, low noise, rapid diagnostics and faster load acceptance are just some of them. 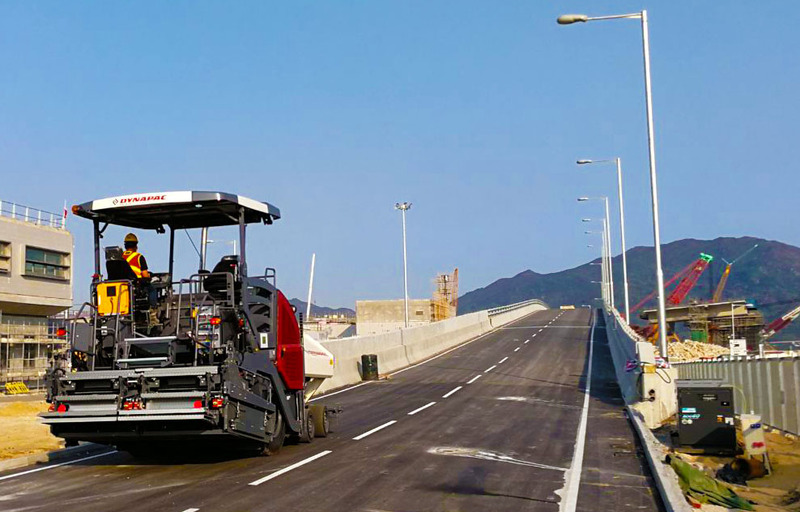 Dynapac SD2500WS offers superior paving performance due to the unique combination of optimal material flow, ample power and the intelligent Pave Manager control system. The SD-series pavers are available with Dynapac's best-in-class gas and electric heated TV and TVH screeds. With the four guide tubes patented screeds and the auger with its compact inner drive unit to minimise material segregation, Dynapac pavers are easy to operate and more productive on the road. Realtech Ltd. is one of the paving and compaction equipment suppliers for this project. It also provides after sales services for the contractors. Currently, there are more than 15 units of Dynapac equipment operating at the jobsite supplied by them. "Dynapac machine is durable with excellent aftermarket support and reasonable price to fulfill customer satisfaction. " Alex Lai, Manager of Realtech, Ltd. complimented. 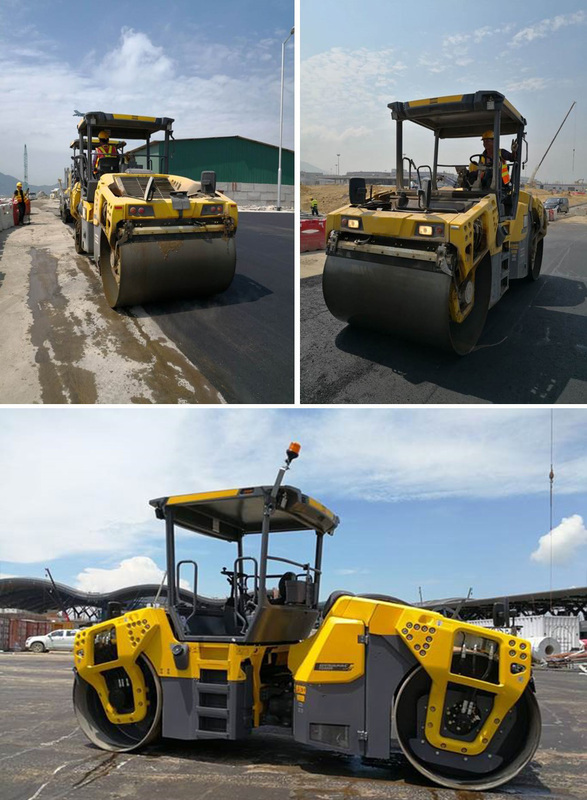 With the road equipment from Dynapac, Realtech Ltd. is able to efficiently meet customer’s requirement in a timely manner while ensuring quality results. Committed to customer performance, Dynapac continues to develop and deliver excellent innovative equipment for compaction, paving and milling applications.